Information About Russian Region Chelyabinskaya Oblast. Chelyabinskaya Oblast is situated on the mountainsides of Southern Ural and in the Trans-Ural region. Chelyabinskaya Oblast borders upon Orenburgskaya, Sverdlovskaya, Kurganskaya oblasts, the Republic of Bashkortostan and Kazakhstan. The main rivers are the Ural and the Miass. 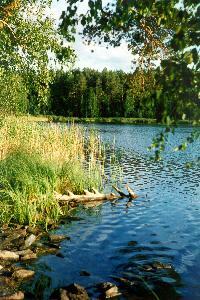 There are many lakes (Uvildy, Turgoyak) and several water basins in the region. The climate is continental. The average temperature of January varies from -16 to -18 degrees, and that of July is from +17 to +20 degrees centigrade. Precipitations are 300-500 mm a year. Chelyabinskaya Oblast was formed on the 17th of January, 1934. Its area is 87,9 thousand sq. km. The region includes 24 districts, 27 cities and towns, 12 urban districts, 32 urban settlements, 236 villages. The centre is the city of Chelyabinsk. The city was founded in the year of 1736. The distance between Moscow and Chelyabinsk is 1919 km. The city includes 7 districts: Kalininsky, Kurchatovsky, Leninsky, Metallurgichesky, Sovetsky, Traktorozavodsky, Tsentralny. The largest cities (number of inhabitants on the 1st of January, 1998, thousand people): Chelyabinsk (1084,1), Magnitogorsk (425,0), Zlatoust (199,6), Miass (166,2), Ozersk (89,0), Troitsk (85,1), Kopeisk (72,9). The basic divide ridge, which serves as a border between Europe and Asia, is known as Ural-Tau. Mineral resources of Southern Ural are distinguished by their riches and variety. There are known huge deposits of metals, jewels and innumerable store of any mineral raw materials. At the same time you can hardly find elsewhere such high-quality and rare ores, such accumulation of rare minerals as in the Ilmensky reserve where more than 260 minerals and 70 rocks were found. More than 10 minerals were discovered here for the first time. 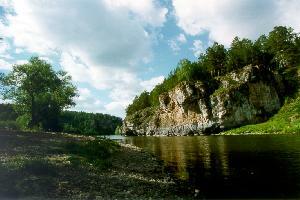 In Chelyabinskaya Oblast originate rivers belonging to the basins of the Kama, the Tobol and the Ural. Among 348 rivers 17 have the length of 100 and more kilometers, and only 8 rivers are two hundred and more kilometers long. These are such rivers as the Ural, the Miass, the Uy, the Ay, the Ufa, the Uvelka, the Gushbeyka and the Bolshoy Karaganka. The favorable climate, concentrated radon waters and sapropelic muds (the Khomutininskoye lake in Uvelsky district) are widely used in the health resort business. Now there are 11 health resorts here. They are four sanatoria ("Uvildy", "Kisegach", "Elovoye", "Solnechny"), two boarding houses ("Utes", "Sosnovaya Gorka") and five rest homes ("Turgoyak", "Karagay bor", "Zolotoy plyazh", "Arakul', "Krasny Kamen"). Chelyabinskaya Oblast takes the advantageous economic, geographical and strategic position connecting Ural with the central part of Russia, Siberia, Kazakhstan. Chelyabinskaya Oblast is one of the most developed regions of the Russian Federation. The basic industries are the metallurgical, machine-building and metal-cutting industries, the fuel and energy building and agroindustrial complexes. The region has the developed system of general, professional and higher education. There are 10 theatres and concert halls, 28 museums, a network of palaces of culture, clubs, libraries and musical schools in the region. Today everyone knows Alexander Vedernikov - the soloist of the Big theatre of Russia, the bayan-player Friedrich Lips and the clown Alexander Frisch. Southern Ural is the native land of world-famous Kasli art castings and unique Zlatoust steel-plate engraving. In the region there are more than 300 historical monuments, 1500 archaeological monuments. Two of them are of world value. They are the Ignatiyevskaya cave with petroglyphs and the town Arkaim - the coeval of Homeric Troy. All this is a splendid basis for development of tourism including that of international. Such cities as Minyar, Magnitogorsk, Troitsk, Chelyabinsk, Verkhneuralsk, Zlatoust, Kasli, Kyshtym were included in "the List of the historical populated places of Russia" in 1990.